iPhone 7 Plus Case compatible with iPhone 7 Plus 5.5 inches(2016). Bling Bling Style: The "Bling Bling" design will make your phone look fashionable and let you match any occasions. 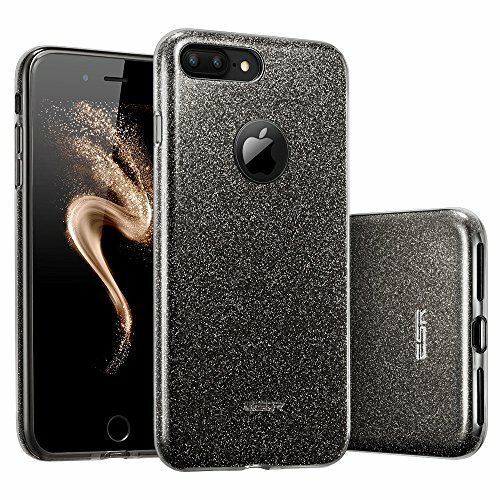 3-in-1 Structure: Designed with TPU layer + Color Make-up layer + PC layer to protect your iPhone from dropping, shocking and scratching etc. Perfect Fit: Ultra-thin with light weight design will never make your iPhone looks bulky. Convenience: Easy access to all buttons, controls & ports without having to remove the case.